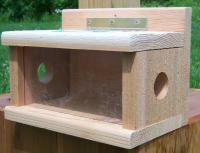 We bought the feeder for the bluebirds and other small birds who were bothered by the mockingbird all the time. 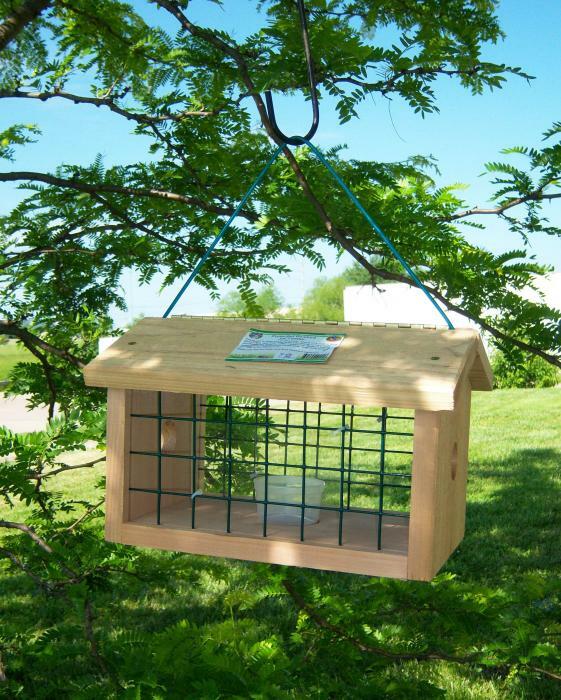 So far, the blue birds have not used it but the Carolina wrens use it and we love them. The feeder house is very well constructed and we enjoy having it. You need to improve you catalog description to define the clear plastic side panels as being present - not visible in the picture. Material quality excellent. Good craftsmanship. One of the screws attaching the roof to the body caused the roof panel to split at the insertion point. 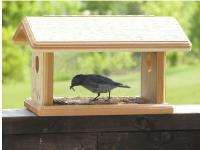 Blue birds will not eat meal worms that are soaked in water. 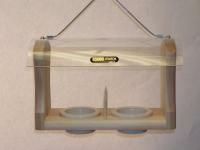 The hinge of the roof allows rain to drip into the meal worm cup. 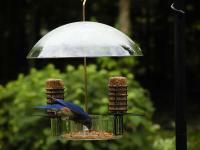 The blue birds were easily trained by removing the wire mesh and moving the feed cup gradually to the center of the feeder. It seems the wooden holes were a little too small because I saw the blue birds attempt to use the holes but always backed off. 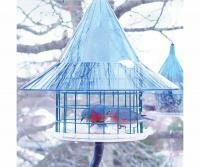 I removed the plexiglass as it seemed to deter the blue birds from entering. I may reinstall them later to see what happens.